No, not these guys. Though I pretty much could talk about them all day. What I mean by KISS is Keep It Simple, Stupid. It’s good advice. Brilliant advice, actually. And this small four-letter acronym is the biggest lesson I’ve learned in storytelling over the past few months. See, I started my professional writing career writing books for Mills & Boon. And the one, big, major, vital thing you learn when you’re trying to write for Mills & Boon, is that your story is about your heroine, your hero, and their relationship. It’s not about the heroine’s dog, or the hero’s relationship with his mother, or the town bank foreclosing on everyone’s mortgages, or drug running off the Maine coast, or even a really cute pigeon. Those things can come into your story, but only if they’re 100% relevant to the heroine, the hero, and their relationship. As I explained (ad nauseam) below, I’ve started writing different books, bigger books. I’ve got more time to research them and more time to plan. And of course (as I also explained below) I’ve been writing and planning from fear. I was thinking that a bigger book meant a more complicated book. That there should be vast secrets under the surface, that all the secondary characters should have their own secondary plots, that I needed twists and turns and all sorts of complexities. I really think that’s a big reason why I’ve made so many false starts on these past two books. I just over-plotted, and over-planned. I looked at the preliminary notes I did for Nina Jones and the Temple of Gloom the other day. They were gorgeous notes: I did them in the shape of this big Gothic house where most of the book’s action takes place, with the different characters in the different rooms and everything. But looking at them now, I can see that at least three of those characters and sub-plots I’d envisaged, never made it into the book. It’s not that they were bad characters or plots; it was just that they were unnecessary. And why were they unnecessary? Because they had nothing to do with what the book was about, which was the heroine and her journey. Instead of being focused on what the story’s really about, I veered off to all sorts of other things that were interesting but not needed. Nor were they simple. On the other hand, I did develop a sub-plot and a character that wasn’t really on that original plan, because it became important to the heroine and her journey. It grew organically out of what I needed, and it illuminated the heroine’s past and the choices that she has made and goes on making. To write a bigger book, I don’t need MORE of EVERYTHING. In fact, I don’t need much more of anything. What I need instead, is to go more deeply and with more complexity into what I already have. Oh, Julie, you are so right. And how come none of us – not any of us – ever remember? We just spend weeks reinventing the damn wheel. Over. And. Over. LOL – I saw your title on my blogroll, thought you were going to talk about keeping it simple, then clicked on it and saw the picture… Very droll. But a very good point. It’s all about going deeper. I’ve done exactly the same thing–started out with a major cast of thousands, most of whom disappeared as I wrote or turned into minor characters, and as I redrafted, they got sidelined all the more. Yes, I know that the hero’s former sister-in-law wanted to be a dancer, but why on earth does the reader need to know it? Madness! Julie, I could KISS you! (In a very happily married woman kind of way) Bloody Zulu Dawn, has a smaller cast than some of the character lists I find myself plotting out. I shall now go and KISS. Jan, those wheel-making tools just seem to come out every time I start a new book. Why?!?! But the thing is, Kate, I *want* to know why the former sister-in-law wanted to be a dancer, and why she’s a former SIL, too! This is another problem, writers are so damn curious! I just grilled a poor man about his near-death experience this evening. (Sorry, R., and thanks.) It is a special form of insanity that we have!!! Argh!!!! 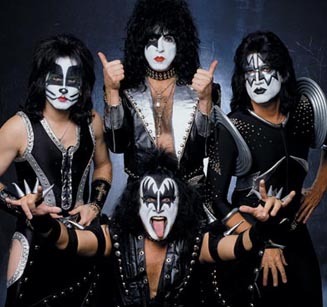 The thing with KISS, Fran, is that it’s like smoking. You make things so much easier if you don’t start getting complicated (ie smoking) at the beginning. Once you’re entangled in the anti-simplicity, it’s so hard to cut it down to vitals (ie go cold turkey). I wish they had the equivalent of nicotine gum for plotting. Oooo excellent advice and very timely! I have been thinking did I need to have more sub plots but actually I just need to work with the ones I have to make them more relevant… and actually I might need to lose one. Hmmm… we’ll see. Yes, it is all about complicating the major arc. I like Donna Alward’s tree pruning analogy. But I saw KISS and immediatly thought of EWan and his chicken. But the thing is, Kate, I *want* to know why the former sister-in-law wanted to be a dancer, and why she’s a former SIL, too! LOL Lacey, between you and me, we could probably make a fleet of reinvented cars! Yes, Biddy, I know you’re in the planning stage. What some people who aren’t writers don’t understand is that having too many ideas is harder than not having enough! Ahhh Michelle I’ll have to look out for Donna’s tree pruning. And you know, I really really REALLY think you need to put a chicken or two in this book of yours. Pleased that you’ve worked it out and know what you are going to do about it now. I did the same a bit with my current book. Went off a bit and added a bit about another character (who gets to tell her story in the next book) and when revising realised I didn’t need it because it wasn’t about the main character so deleted it. Go with it now.